The European clay court swing begins next week with the Porsche Tennis Grand Prix in Stuttgart. This tournament is regularly voted by the players as their favourite Premier event and it’s always a superb week of WTA tennis – top draw names, high quality first round match-ups, packed crowds and an awesome atmosphere… tough to beat it! This post previews the main draw with profiles of the eight seeds. Overview and recent form: An encouraging start to 2016 has seen Radwanska rise to number two in the world rankings and number four in the Race to Singapore. Radwanska has often overplayed in the past; this has certainly not been the case in 2016 where she has played just five tournaments (the same number as Victoria Azarenka) and reached at least the semi-finals in all but one of her tournaments this year. Radwanska’s last outing on the tour was in Miami where she lost in the fourth round to a resurgent, Timea Bacsinszky. Draw Projections: Radwanska’s first match of the week will be against either Andrea Petkovic or Kristina Mladenovic in the second round. Radwanska has never lost to Petkovic in six previous match-ups, while she has yet to play Mladenovic on the WTA tour. Overview and recent form: Kerber began her quartet of title defenses with a decent showing in Charleston, reaching the semi-finals. The Australian Open champ was forced to pull out of her semi-final match with Sloane Stephens, down 1-6 0-3, due to illness. 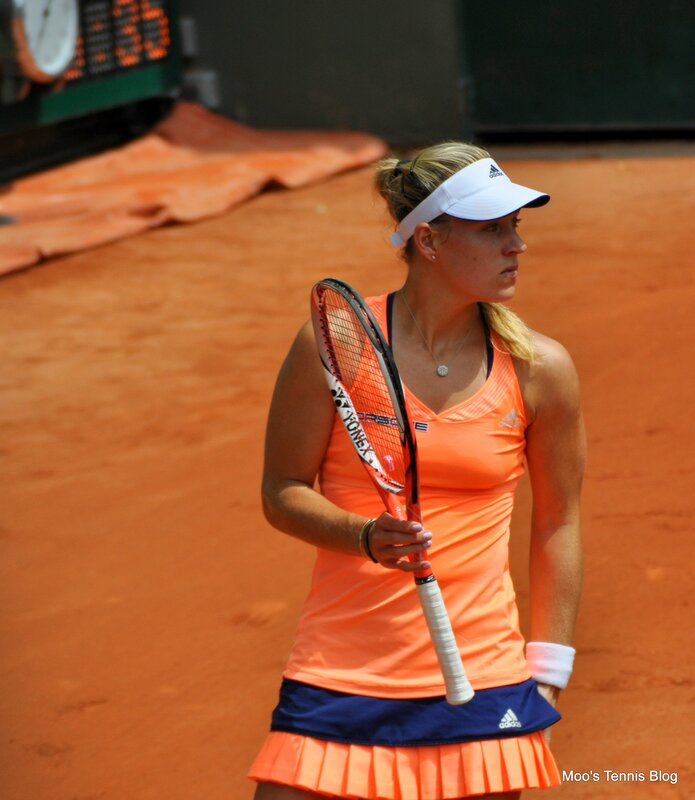 Following a short, sharp spell of turbulence, Kerber seems to be back on track. In both Miami and Charleston, there were flashes of the form she displayed in Australia where her classic counter-punching game was entwined with bursts of aggression. Kerber continued this form in Fed Cup action at the weekend where she dropped just nine games with victories over Irina-Camelia Begu and Simona Halep. It’s always interesting to see how players deal with home crowds; from previous experience, Kerber is one of those players that can feed off their energy. Draw Projections: Kerber will take on either Annika Beck or a qualifier in the first match of her title defence. Kerber last played Beck in the fourth round of the Australian Open, en route to winning her first Slam title. Overview and recent form: Muguruza’s 2016 season has been a mixed bag so far; the lows included the entire Australian swing, rounded off with a straight sets, third round defeat to Barbora Strycova, and a worryingly listless defeat to Christina McHale in Indian Wells. The highs have been a quarter-final showing in Doha and two victories in her last tournament in Miami, which included a battling win over Dominika Cibulkova and a one-sided rout of Nicole Gibbs. While Muguruza went down to Victoria Azarenka in a fabulous fourth round match in Miami, it was a positive loss (if you can ever describe a loss as positive!). She had set points in the first set and showed plenty of heart and fight on the court, something that had been lacking at times in her previous performances. The Spaniard had a successful weekend in Fed Cup action, beating Francesca Schiavone (7-6(4) 6-0) and Roberta Vinci (6-2 6-2). Muguruza appears to be back to full fitness and ready to launch into the clay court season where she is defending just 150 ranking points up to the French Open. Draw Projections: Muguruza opens her campaign in Stuttgart against either Timea Babos or Sabine Lisicki. Muguruza produced one of her best displays of the year to defeat Babos in Doha, while she has never played Lisicki before. Overview and recent form: Much like Muguruza, Halep seemed to right the ship somewhat in Miami. While her quarter-final loss to Timea Bacsinszky was a disappointing display, running out of steam both physically and mentally, her performances up to that point in March were leaps and bounds ahead of what she had produced through the first two months of the year. Clay has always been heralded as a good surface for Halep but she failed to produce her best tennis on it in 2015. While she reached the semi-finals in Stuttgart and Rome, Halep was a shadow of the player that had reached the French Open final the year before. Halep has talked a lot about pressure and perhaps she will feel more comfortable heading into this clay court season where she isn’t necessarily being touted with as much vigour as last year. Although she toughed out a three set win over Andrea Petkovic in Fed Cup action on Saturday, Halep picked up an ankle injury which could be a concern for her participation in Stuttgart. Draw Projections: Halep will play either Anastasia Pavlyuchenkova or a qualifier in the second round. Halep has a commanding 6-0 head-to-head record against Pavlyuchenkova and has only ever dropped one set against the Russian player. Overview and recent form: After a disappointing start to the year, Kvitova regrouped during Indian Wells and Miami to treble her number of match wins in 2016 to six; this included a quarter-final showing at Indian Wells and a third round appearance in Miami. Both tournaments though ended with error-strewn losses to Agnieszka Radwanska (IW) and Ekaterina Makarova (Miami) although the latter can be partly attributed to the humidity, which has a significant impact on Kvitova and her asthma. Draw Projections: Kvitova will play a qualifier in the first round; if she can overcome the first obstacle, she faces a testing second round match against either Caroline Garcia or Monica Niculescu. Kvitova lost her most recent encounters against both players. Overview and recent form: This time last year, Vinci would have had to qualify for the Stuttgart main draw… one year on, she is the number six seed. The Italian player has built on a glittering summer with a healthy slate of results in 2016 in what is set to be her last year on tour. Vinci has become one of the toughest match players on the tour this year; in two of her last four tournaments, she has come from match points down to win three set epics against Daria Kasatkina (Doha R2, saved three match points) and Margarita Gasparyan (Indian Wells R2, saved two match points). Six of Vinci’s ten titles have come on clay including a triumph on fast indoor clay in Katowice back in 2013 where she beat Petra Kvitova in the final. However, she won just six (!) games in Fed Cup action at the weekend, suffering comprehensive losses to Carla Suárez Navarro and Garbiñe Muguruza. Draw Projections: Vinci will play Ekaterina Makarova in the first round in what will be their sixth encounter on the WTA tour. Makarova leads the head-to-head, 3-2, and won their most recent encounter at the Australian Open in 2015, 6-2 6-4. Overview and recent form: Suárez Navarro won her biggest career title to date in Doha back in February, thrashing Agnieszka Radwanska in the semi-finals and showing an improved mental toughness in the final to edge past the 18-year-old, Jelena Ostapenko. Since then, the Spaniard has failed to win a match on tour. An ankle injury ruled her out of Indian Wells and still seemed to be bothering her in a straight sets loss to CoCo Vandeweghe in Miami. Suárez Navarro has since had three weeks off the tour but showed few signs of rust in Fed Cup action at the weekend, flying past Roberta Vinci in a 6-1 6-1 victory. All the signs are positive that she should be physically ready to compete on clay, without doubt her best surface. Draw Projections: A qualifier will be Suárez Navarro’s first opponent in Stuttgart. If she wins her opener, the Spaniard will face either Johanna Konta or Anna-Lena Friedsam in the second round in what would be a first career match-up either way. Overview and recent form: While Safarova is yet to win a set in singles action in 2016, she has been slowly building confidence and form in the doubles. Teaming up with Bethanie Mattek-Sands, the pair won the doubles tournament in Miami in their first tournament together in 2016 and also, reached the final in Charleston, losing out to Caroline Garcia and Kristina Mladenovic. Draw Projections: Safarova will open against Karolina Pliskova in one of the star-studded first round match-ups. Pliskova leads their head-to-head, 2-1, having won their two most recent encounters in 2015. This is my favourite WTA tournament of the year so I cannot wait for the week ahead! I was feeling reasonably decisive with my picks but Fed Cup has messed that up a little bit. I like Halep from the top half, but I am concerned about the ankle injury; with a bye in the first round, she may not have to play her first match until Thursday. Radwanska has a great record against most of the players in her quarter of the draw, but the shoulder could be an issue and clay is never going to be her best surface. The bottom half features quite a few big hitters who are all capable of a big run, but I think this could be Muguruza’s time to shine in 2016.
Who do you think will win Stuttgart? Have your say in the tournament poll below and as always, comments are appreciated! If you are entered into the Tennis Draw Challenge game, remember to get your picks in HERE! 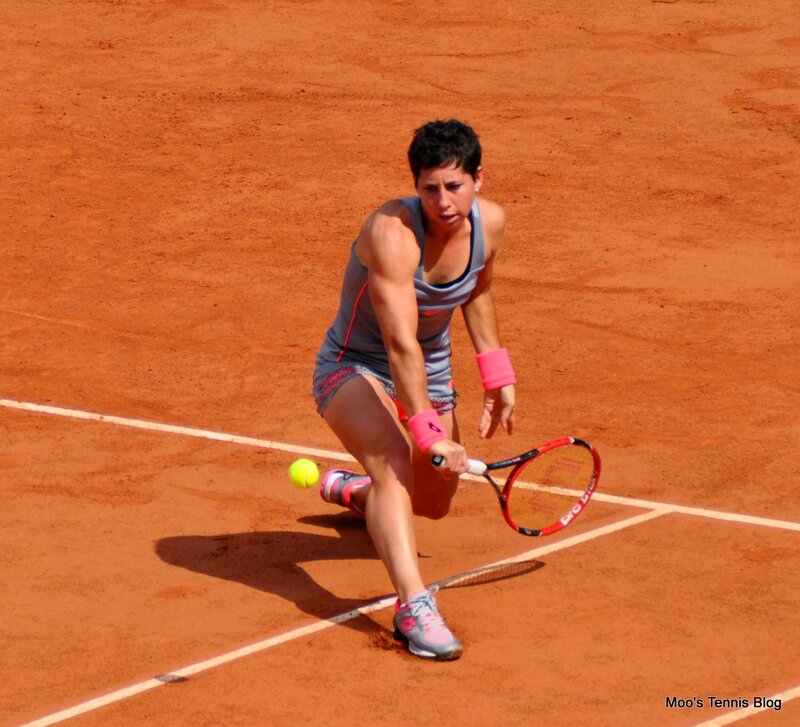 April 17, 2016 in Stuttgart, Tournament Preview, WTA. I’m so much looking forward!!! Halep against Garbine would definitely be a final I’d like to see. However, I think Kerber could go all the way to the final because she was in great form in fed cup. As for the upper half I’d go with Ivanovic – she is a great clay court player and is due a good run!! My worry about Ana is that her mind may be on her wedding and not on her tennis. Some players seem to fall in love and it helps them on court. But Ana historically has not been one of them… Plus she seems to be having troubles in her matchup against Karolina Pliskova. And her head to head against Safarova is even worse! I’d love to see her have a good run though. I think she needs one here. This is also my favourite tournament of the year but I have no idea how it will go. I did my draw challenge and went a little crazy in the top half. I see the bottom half going the way of the seeds. Went with Kerber defending her title (a little bit of wishful thinking) and Pavlyuchenkova making the final, one of my more crazy decisions. I honestly don’t know what I was thinking. I could see Radwanska doing well. The biggest players in her quarter (Ivanovic and Pliskova) have abominable head to head’s against Aga. I’m going to take a chance with my predictions. I still feel like Caroline Garcia is due a big run and this is the surface she’ll do it on. Her level of play this year has been markedly better than last year. As for Halep, she’s had a shaky year but she really hasn’t been as bad as some make out. She’s in the same boat Kerber was this time last year and I reckon she’ll shake it off at this tournament and grind out a good win. I’m going Halep d Radwanska and Garcia d Suarez Navarro as my semi finals. The only part of me that is confident is that Pavs has been so poor of late. She loves to make surprise runs when no expects it and it’s usually indoors. But I have jinxed her now so expect her to lose in round one! It’s a heart vs head situation here for me. I love Sabine and she’s playing at home so she could be due for a deep run here, however she doesn’t seem to be playing her best tennis right now and although I’d like it to happen I don’t think she’s a good bet for the tournament. I hope Lucie starts winning matches again to build her confidence, but I don’t think she’s fit or strong enough yet to make a deep run in a tournament. I think Aga will do well but I doubt she’ll win; clay isn’t a strong surface for her, so maybe the quarters. Petra will most likely take time to settle down with her new coach, so I wouldn’t bet on her to win either. Nastia is another player I like and she’s strong on indoor clay courts but she doesn’t seem to be fully fit at the moment so I think the same as for Aga; maybe the quarters but no further. Carla’s looking pretty ominous at the moment with her 6-1, 6-1 win over Sara at the weekend and she’s very strong on clay so I think she’s in with a chance of winning the tournament. Garbine’s another one who could win if things go her way, and either Simona or Angie Kerber could too if either one discovers her best form. Carla Suarez Navarro is just horrible in finals though! The nerves are just too much more her. Didn’t she pull out of the final at Antwerp last year because she couldn’t sleep the night before? !